The season is in full flow with now four courses complete in South Devon. We have had wall to wall sunshine and so many smiles. 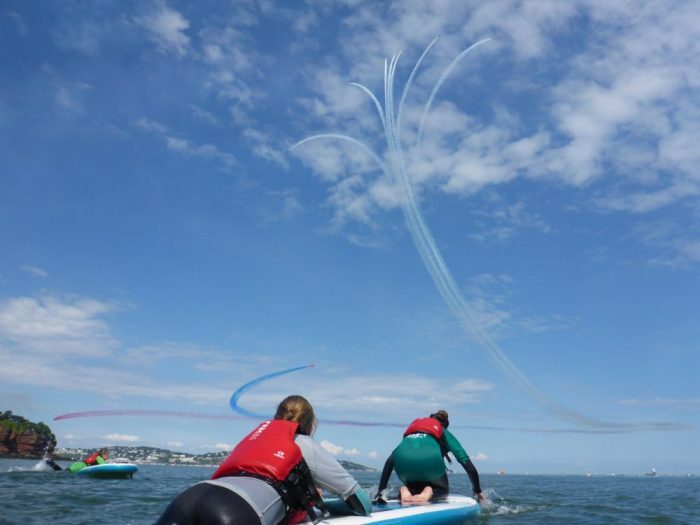 The Red Arrows put on a fantastic display at Goodrington and wetsuits weren’t needed by all by the last session at Bigbury. Who would of thought!? The last two courses have seen once again the amazing progress of two fantastic groups of young people. 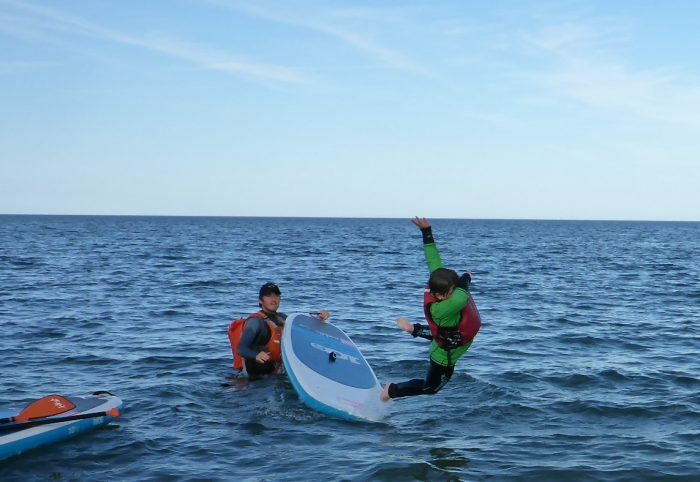 Who have all benefitted from being outside and in the water supported by an amazing team of volunteers. When asked what do you like best about The Wave Project? “How caring the volunteers are!” Which says it all, this just wouldn’t work without them! Thank you South Devon Team. You hopefully saw the amazing video above that was made by one of the parents as a way of saying thank you. 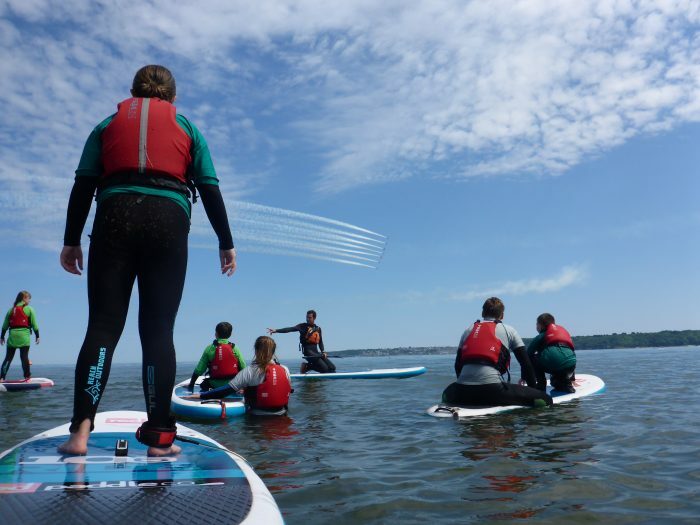 Surf Club sessions have seen super still mirror like conditions at Goodrington and Bigbury. Leading to adventures along the coastline and around Burgh Island. Searching in caves for bears and screams as a Spider Grab was lifted out of the water. Many a laughter filled session in the Sea. Last weekend Surf Club even saw some very rare waves in the river mouth at Bigbury with a record 7 switches on one wave from one of our newest club members. We also had volunteers attend Wonderfields a fantastic festival in the heart of Devon. This small family lead festival has been great exposure for The Wave Project at the event and on their website and social media channel. 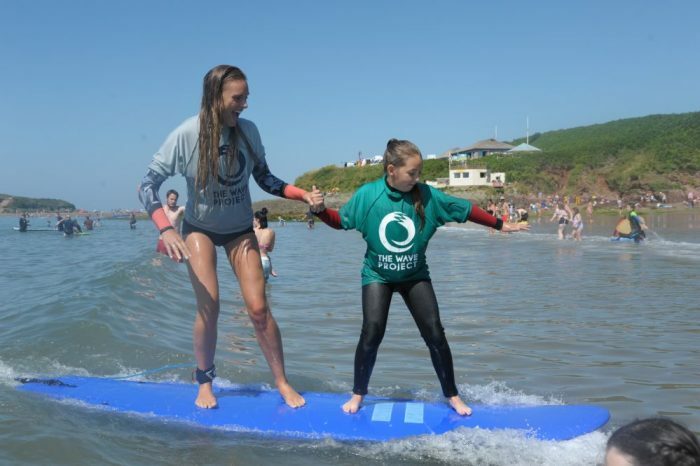 It was great to meet a young lady from Cornwall whose brother had completed a surf course with The Wave Project and she was talking about the difference it had made to him and her family. 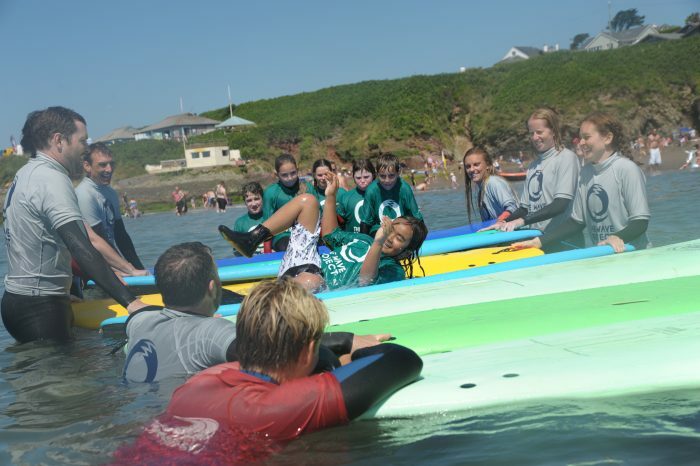 The Wave Project in Devon (North and South) was a finalist at the Devon Sports Award for the ‘Inclusive Sports Award’ as well as well as one of our student volunteers Josh being a finalist for the category ‘Devon Young Coach of the Year’. It was a fantastic evening celebrating lots teams and individuals across the county. We were Thrilled to receive the award for Inclusive Club of the Year. 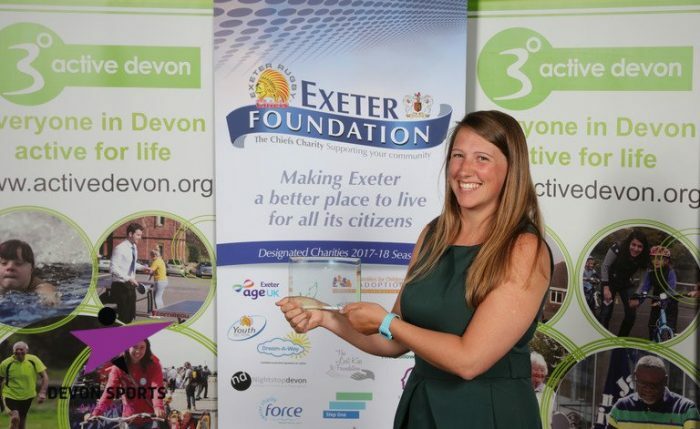 This award is across all sports in the county and so a massive achievement to mark the ongoing success of the Project in both South and North Devon. 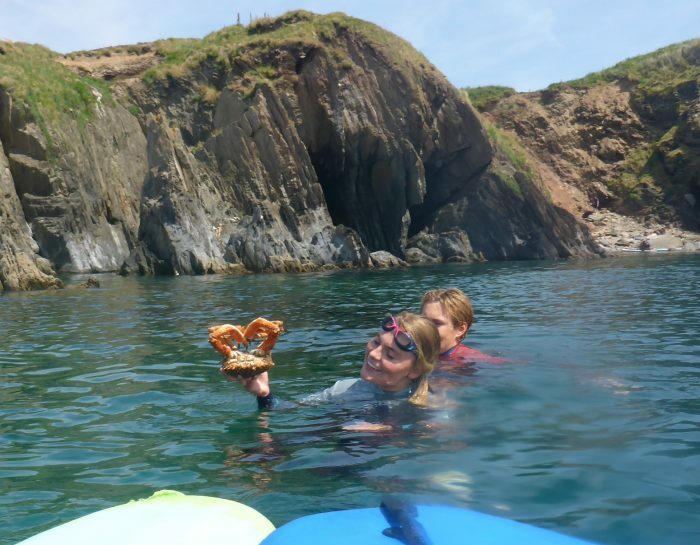 August = Surf Clubs and preparing for our next courses. It’s so great to see faces which joined our project in South Devon at the start (2015) mix with those who have just finished courses. 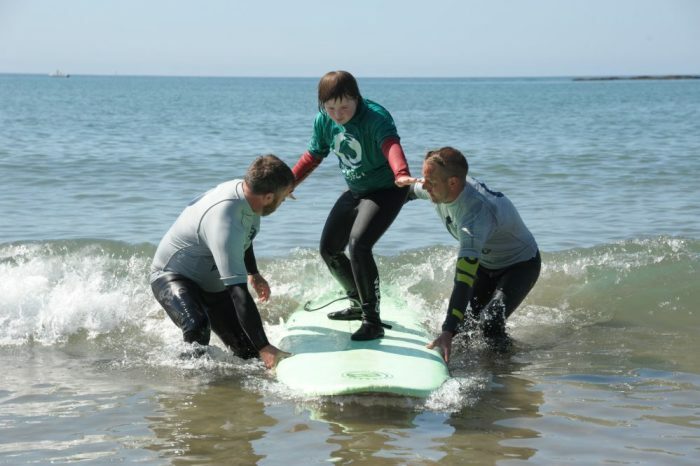 We are always looking for volunteers and fundraisers if you fancy coming in the water as a surf mentor, or hosting, a bake sale at work, running a half marathon please get in touch. A parent has kindly given us places for Exeter the Exeter Half Marathon and Marathon in 2019, if you would like to run in either event for The Wave Project please let us know.